Have a Duck Dynasty fan on your Christmas list? 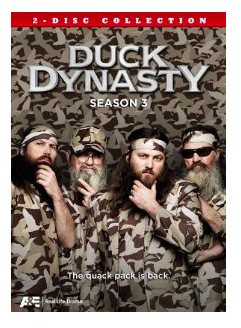 You can now pick up Duck Dynasty: Season 3 for only $4.99 at Amazon. This ships for FREE with Amazon Prime or Super Saver Shipping. Amazon prices can change at any time, these prices were valid when posted. Thanks , I have recently been looking for information about this topic for a while and yours is the best I have came upon so far.